Sam Abell produced a book that I think every photographer should read called “Life of a Photograph” (Amazon USA Link UK Link) He also has some interesting videos on You Tube that I have linked to in the past and refer to in my own teaching. I do wish though that he would make some new better quality videos of the points that he discusses in these videos. I would love to be able to attend this workshop unfortunately time and money mean that I can’t do do if you do get the chance and can go please let me know what it was like. Jonathan Blaustein at A Photo Editor has an interesting interview with Sam Abell. At one point in the interview Sam has this to say which I think is important in our ever proliferating world of images “It’s shifted in a good way, away from what you might call the singular successful image, to the sustained body of work. Yes, there are billions more photographers, and billions more photographs every day, but who’s building up a point of view? Who’s photographing with intention, and whose body of work will sustain itself and survive?” Sam also discusses his cowboy photograph that is the subject of one of the linked videos below. 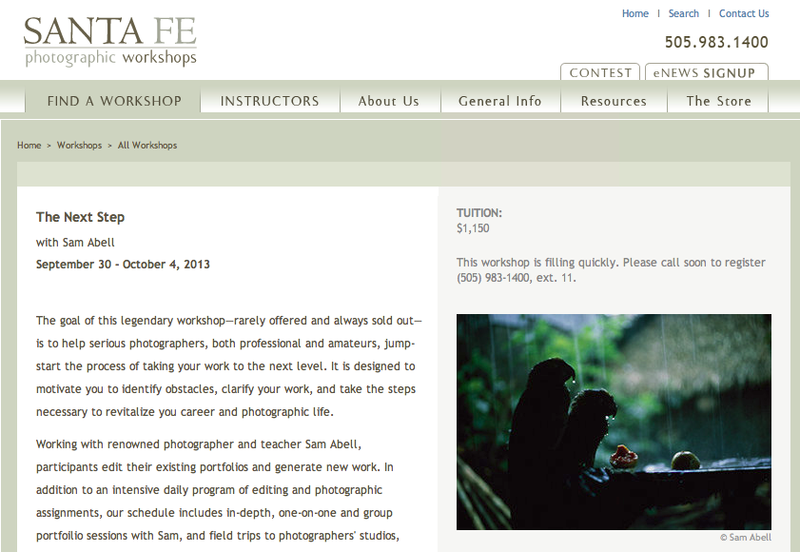 Sam Abell is a documentary photographer who worked for National Geographic.